Fixin’ Up the Ol’ Shack! 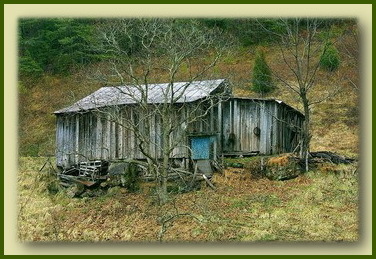 There once was a man who bought a lush piece of property with an old shack on it. He decided to renovate it and worked hard to fix it up, spending a lot of money in the process. When he was almost finished, a windstorm came and blew most of it down. When the man thought he would rebuild it one more time, he sent for the inspector to check out the remains of the house. How well built is the dwelling place we give our Beloved Bridegroom? Is it built on Him, as our sure Rock-foundation? Does it come crashing down in a storm of affliction? Paul said, “When someone becomes a Christian, he becomes a brand new person inside. He is not the same anymore. A new life has begun!” (2 Cor. 5:17 TLB) So, if the old dwelling place of our hearts is cleansed and created anew, do we keep it that way, or do we allow the winds of worry or the storms of strife to revert it back to the same ol’ rickety shack? * Clean out the closet of my hidden thoughts and throw away the trash of wrong attitudes. * Dust behind the doors where preconceived ideas accumulate like cobwebs. * Sweep out the corners of my heart where the soil of unwillingness piles up. * Dig into those deep crevices of my soul where stubbornness plants its roots. * Take down from the shelves of my mind all the negative thoughts I cling to and replace them with all Your promises that they may be readily available whenever I need them. * Scrub down the walls littered with the graffiti of my words that have blemished Your Spirit and Your Word. * Repair the cracks in the walls so that the enemy cannot ooze in with his unwanted ideas. * Fix the holes in the roof where the rains of difficulties leak in and threaten to dampen my soul-rest. * Seal up the broken windows where the winds of discontent blow in so easily. * Clean out the soot of wrong burning desires that have blackened my chimney and allow the vapors of praise to rise heavenward. * Rekindle the embers of my heart’s passion that have grown cold. * Use my tears to mop the floor of my soul where it has been trampled upon with the muddy feet of those who would rather walk over me than to see the hurt and pain within me. * Shine Your light into the dark cellar of my emotions so nothing can remain hidden from Your forgiveness. * Help me erect that exterior that holds all else in place, as I use my obedience to cement Your bricks of truth in place. May I not leave them lying useless on the ground. * Help me build on the one sure Foundation that is unshakable and can withstand all storms and disasters. What kind of home are you building for your precious Lord? Do you schedule regular maintenance projects? Do you allow the Master Craftsman to construct according to His divine plan? 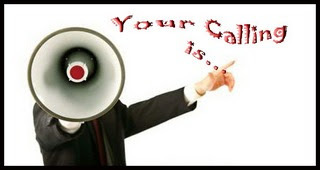 Do you know you have a call on your life? Maybe you probably already know that. Or maybe you don’t know that. Or maybe you’ve been sensing that the Lord is calling you to something but you don’t know what it is. Or maybe you are searching for that calling. Whether you are searching or not, you are called. As Christians, we are all called. Paul says that God “called you to become His child” (1 Thess. 5:24TLB) and that “You also are among those who are called to belong to Jesus Christ” (Rom. 1:6 NIV), “called into the fellowship of (God’s) Son, Jesus Christ our Lord” (1 Cor. 1:9 NKJV). Not the specific kind of calling you were looking for? Well, if we cannot step into the callings listed for us in the Word, how can we seek our life’s specific calling that the Lord desires for us to share with others? God does have a distinct plan and purpose for our lives, a calling that only each of us can fulfill. So, how do you find out what it is? Think about what fuels the passion of your soul and what sparks the fire in your heart. What do you love to do that you would do even if no one thanked you? God has called each of us to do certain things, to be His hands of help, comfort, or assistance to others in one capacity or another. If we are called according to His purpose, we share that calling with others. But if we do not do for others what God has called us to do, we hinder the fulfillment of His purpose. How are we then profitable to the Kingdom if we refuse to function in our calling? Whatever your call may be, “the gifts and the calling of God are irrevocable.” (Rom. 11:29 NKJV) They are without change of purpose and bring no regrets. Each calling is a ministry to others. The Lord called me late in my life to write for Him, something I would never have guessed. It is now my passion and I wholeheartedly and humbly obey His call. In your seeking, you may find a surprise calling on your life, at any time of your life. It may merely be to witness to your next door neighbor or serve the homeless at a local shelter. God’s list is endless. May you be blessed as you obey God’s calling on your life and may others know the benefit of your obedience.